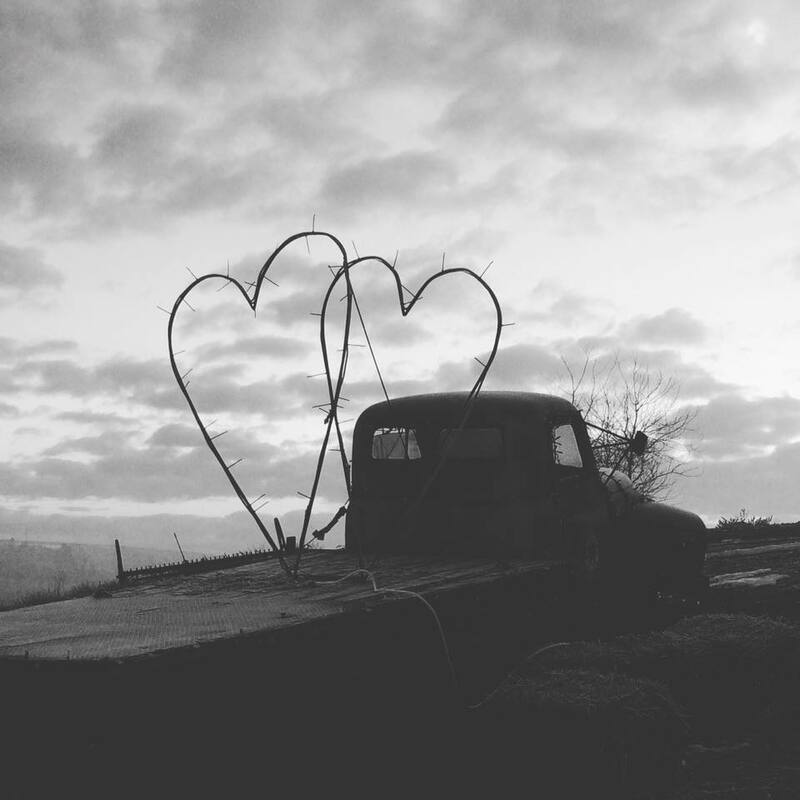 The question posed was “how do you decorate” your farm up for Valentine’s Day?” After the deer in the headlights look flashed over my face, I told my my friend and blog task master, Kristi, that I’m on it! Of course that meant sweetheart, Randy was promptly tasked with a project! One of the things I truly love about him, is he is creative, a perfectionist and is a willing victim for my projects. Ya just gotta love that in a man! I had actually wondered what to do with decorating up the iconic vintage truck that welcomes people to my little patch of heaven. And here we are, a Saturday project that makes this farm-chick’s heart smile. The beginning, metal bought and bent into the shapes of hearts. It was a cold rainy day too, but we were determined to get it done. The design phase, yup he listens to exactly what I wanted. Installed and all lit up. A bright spot amidst the dreary winter day. One final view at dusk. It looks just so darn pretty amidst the farm fields. In the next few weeks, there will be a buzz of activity as the farmers begin getting ready to get the Spring crops in the fields. And what better thing to do for Valentine's Day than besides "gussying up" the old truck, well making a mess in the kitchen, of course! I tried a new recipe that combines two of my favorite things, chocolate and red wine. Oh my! I made the cake, it turned out wonderful, the pictures I took didn't so I grabbed the picture from the blog that has this recipe (Sprinkle Bakes.com ) she gives permission so long as you identify where you got it from. This will be posted very shortly on the Eat Cake page. Of course I did have to try a different twist and try my own version. IF that is better, then I'll redo the recipe. 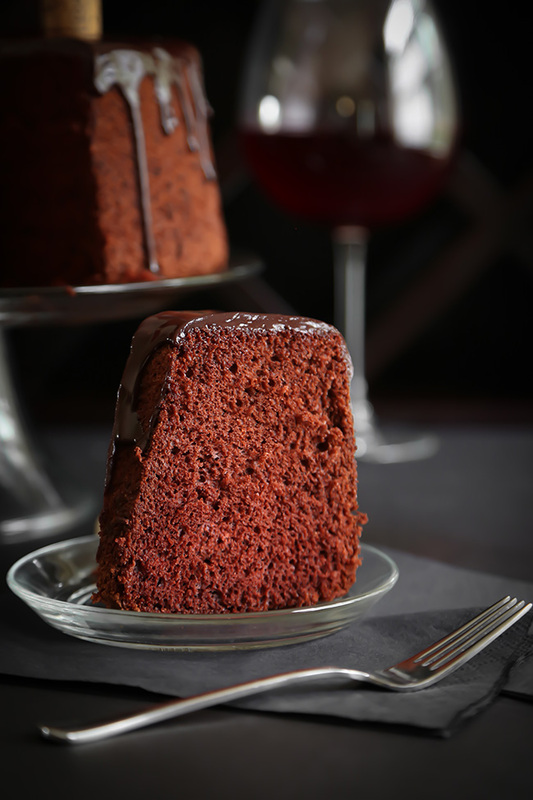 It has a hint of the red wine in the case and the chocolate ganache glaze is to die for!